It’s trunk show time! 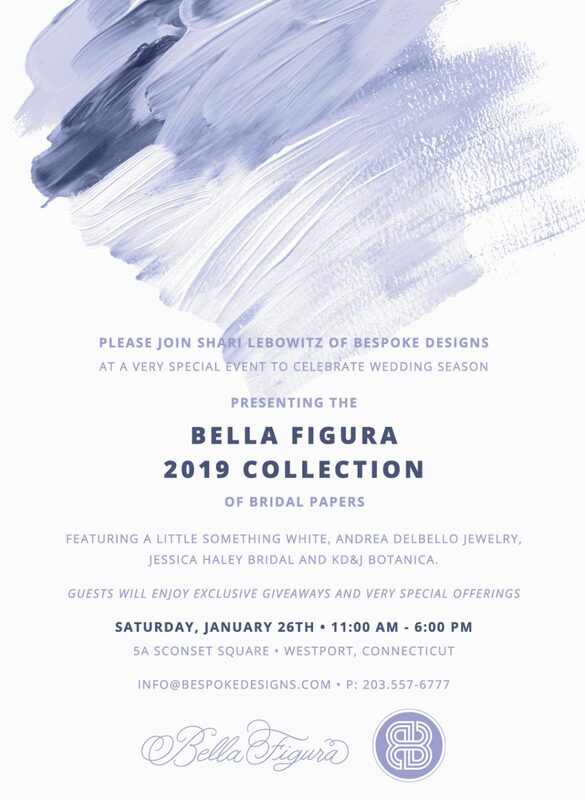 Join Bespoke Designs in Westport, Connecticut as they celebrate the wedding season on Saturday, January 26th from 11 AM-6PM. While at the event, guests will be get and up-close and personal peek into our 2019 collection. Don’t forget to take advantage of our exclusive trunk show special: buy 75 or more invitations and receive 25 complimentary. The creative team at Bespoke Designs is just waiting to bring your wedding stationery vision to life. They hope to see you there!